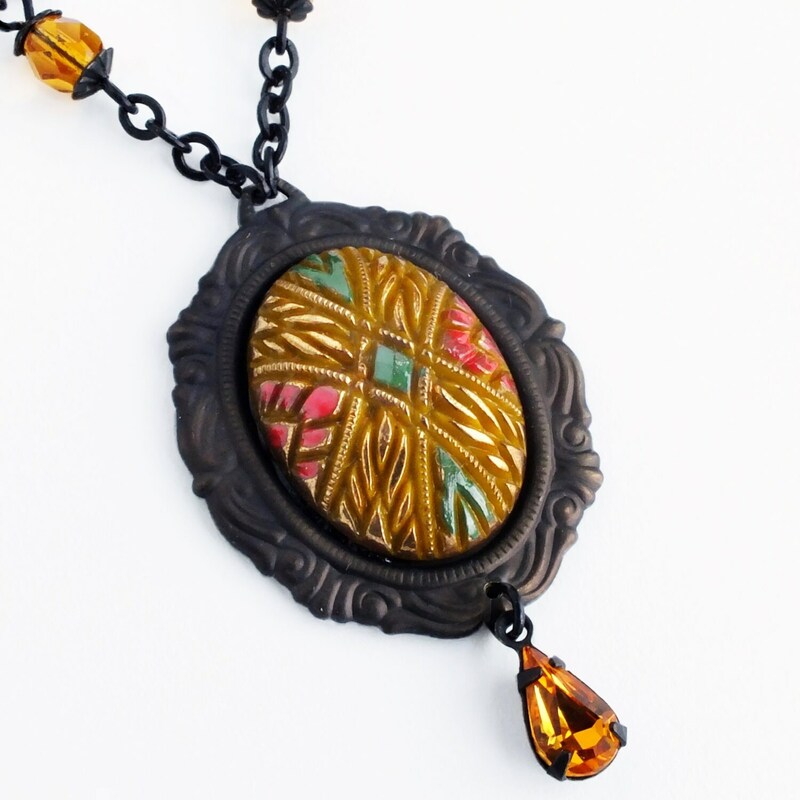 Handmade yellow Art Deco necklace with large vintage beaded glass pendant. 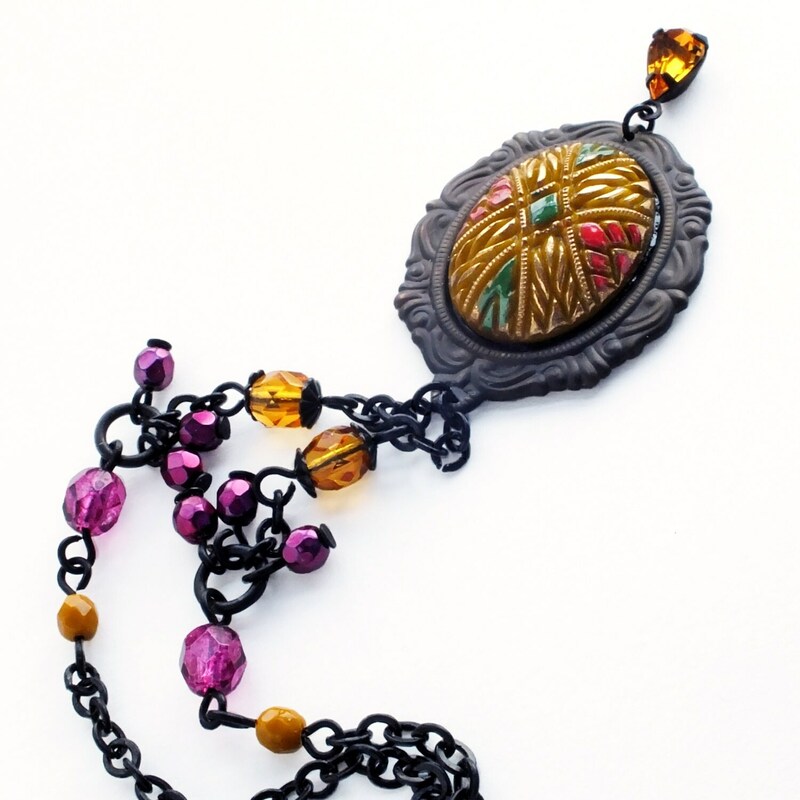 US made antiqued brass chain, frame and setting. 18 inches - 46 cm long. 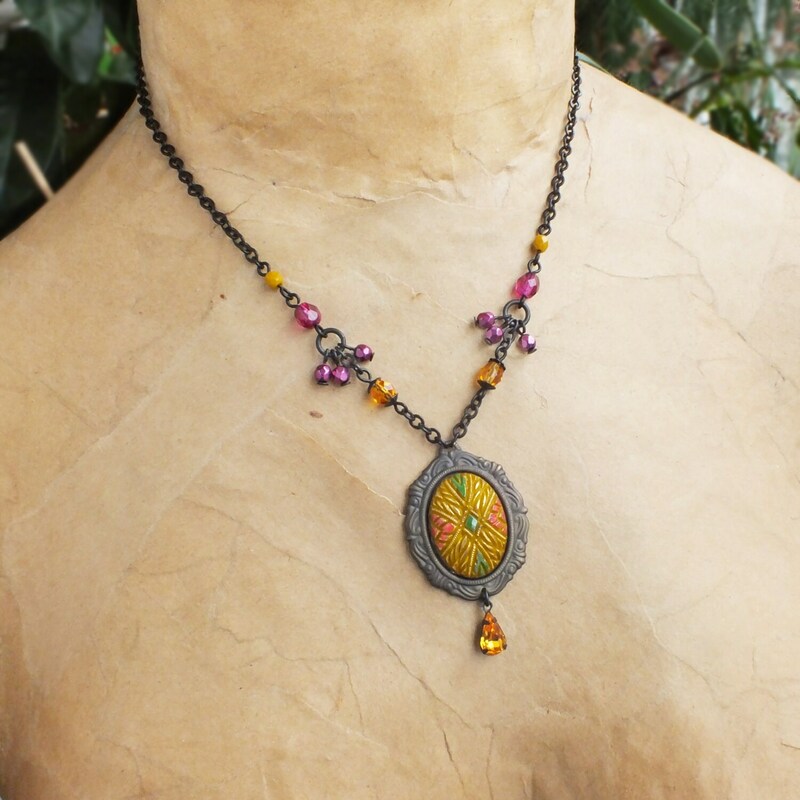 Made with a gorgeous genuine vintage Art Deco styled etched glass cabochon in mustard yellow and gold set in a weathered antique brass Rococo setting adorned with a vintage topaz rhinestone. 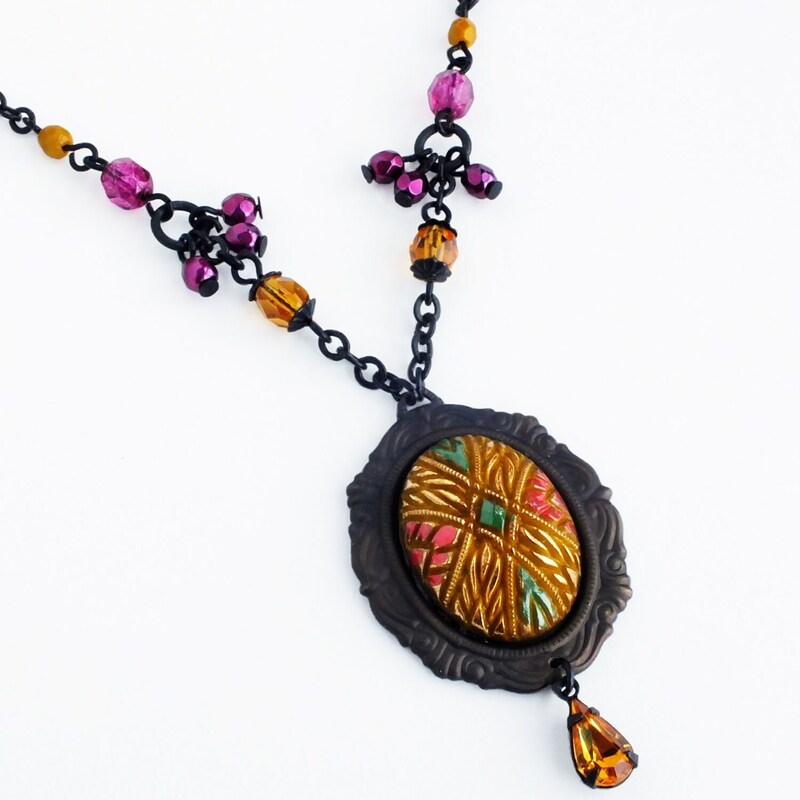 The oxidized brass chain is adorned with a mix of Czech glass beads in a mustard yellow, topaz and pink palette. 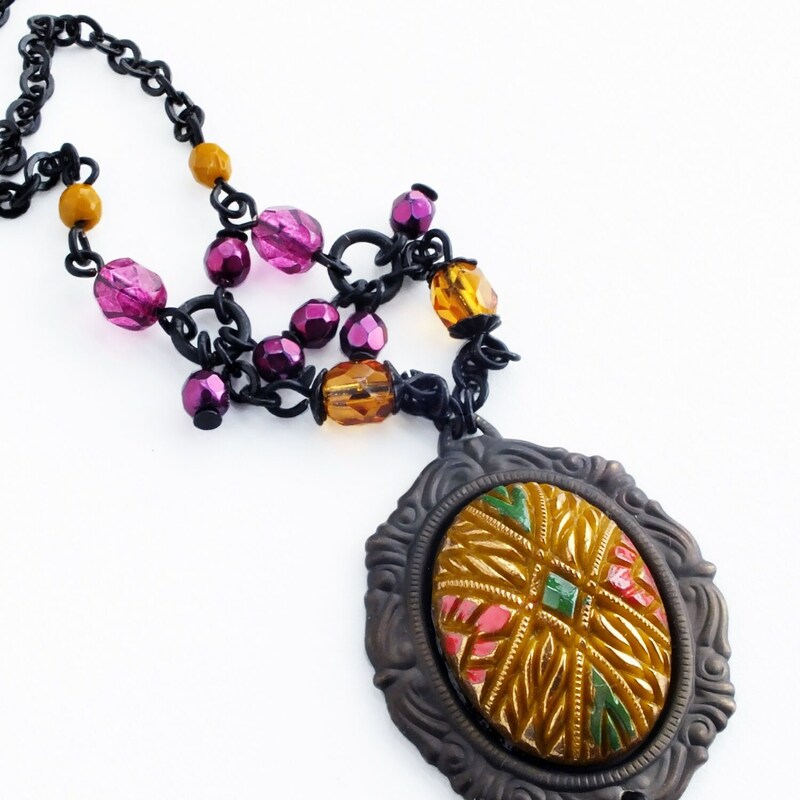 Want this necklace shorter or longer? Convo me!